Having a young 18 month old I understand how difficult it is with trying to feed (get them to eat!) nutritious organic foods all the time, let alone give supplements. Moreover, the best supplement in the world is basically useless if your child simply doesn't take it! For this month's blog post I have compiled the essentials in light of my minimalist style, for the average modern day baby and child. Many mums start out low in Vitamin D which we get for free from sunshine, and as a result pass very little vitamin D through breastmilk to their nursing babies. This means many babies especially breastfed babies have low vitamin D.
We need vitamin D for bones, brains, and hormones! My strategy is to ensure mummy has had enough sunshine during the pregnancy or at least has vitamin D in her supplement regime, and to have naked babies out in the sunshine more often. However this is not always the case and babies need D supplementation. DHA is most important for a growing brain from birth til around age 3. A mix of DHA and EPA is needed for kids and adults aged 3 onwards. This is found in any food that is orange in colour, such as sweet potato, papaya, Carrots, Pumpkins and is crucial for skin and tissue growth, eyes and immunity. Cod liver oil is a wonderful supplement to take that contains the above 3 nutrients. The taste may be the limiting factor, but if you started young, your child may not mind it. If not, you may use my hack of combining Nordic Natural's Cod liver oil with scott's emulsion and giving the right dose to your child. Remember to do this carefully as Vitamin A is not good to overdose on. 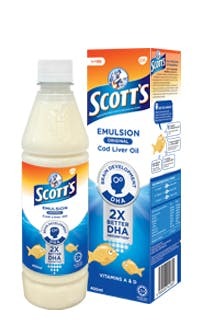 My son LOVES the taste of my scotts emulsion + Nordic natural hack, and I have to hide it! If you live in 2018 and beyond, chances are your gut bacteria is that of "modern man" ie. dysbiotic, from generations of industrial toxins, half a decade of drugs, hormone residues, pesticides and a "germ-phobic" and antibiotic loving lifestyle. This means that the balance of good and bad bacteria is totally off. Therefore, parasites, yeasts and unwanted bacteria easily colonise the gut and give inflammation, food intolerances and further chronic problems further down the line. Ideally, I recommend home made yoghurt and kefir, but especially in asia people (and kids above 1yrs old) aren't good with cow's milk products. It is also as important to eat other fermented foods such as tempeh and sauerkraut and to eat enough fibre. Especially for kids, they also form their microbiota by playing barefoot in the dirt daily! In clinic, I use a prescription-only probiotic for kids and adults. While Vitamin C seems to have had all the limelight where immunity is concerned, zinc is actually the bigger problem in our society today. Many kids have zinc needs and when low, can have low quality skin, hair, digestion, immunity and bones. Sometimes we can pick up zinc spots on the nails, and other signs. Zinc and C is a powerful combo where immunity is concerned, and I give my son this especially during travels, and I advise families to stock up on this when a child is entering a new childcare or school. I am a great fan of Immunped which can be used from as young as 1 years old, has a delicious apple taste and a stable formulation of both vitamin C and Zinc. Remember, nothing beats a nutritious diet but these are often low even with our best efforts in feeding our child! Where to find Immunped in Singapore? We have it! Where to find Metagenics Ultraflora Probiotics for kids? Yup, here too. Book a consult to discuss your family's needs. I love to help simplify your family's nutrition, allowing them to reach their highest potential. Bad diet during pregnancy impacts your child's genes. High fat and sugar diets were associated with higher IGF2 methylation in children with early onset conduct problems.